Specialist façade providers, Avtek Solutions, have been selected as the Curtain Walling Contractors for the new £14.1 million shared campus development for Hayshead and St Thomas RC Primary Schools which, is part of the Scotland’s Schools for the Future programme. 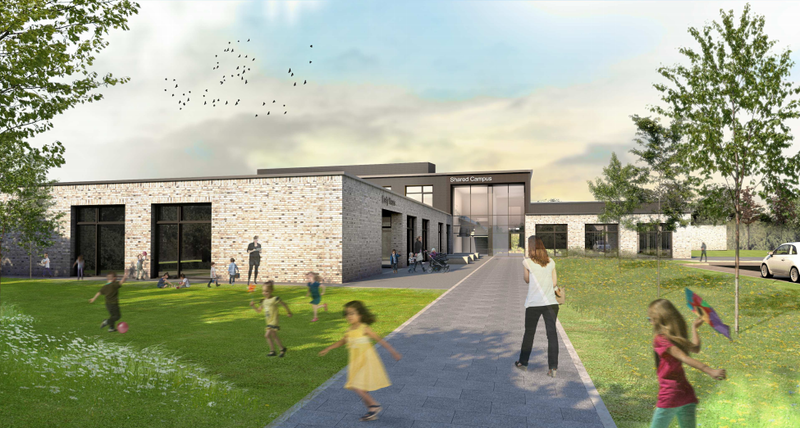 Designed to accommodate 525 pupils and an early years facility, the new build project is being managed by Hub East Central Scotland Limited with the aim of creating a modern learning environment as well as providing facilities for the wider community. The project will see Avtek design, supply, manufacture and install 150m² of flexible aluminium curtain walling. Using the Senior SF52 Curtain Walling System, complete with SPW501 doors and PURE windows, the glazing will provide enhanced thermal performance. Avtek have also been contracted to install 1100m² of Rationel windows and doors for the shared campus facility which is due for completion early 2020 and looks set to play a vital part in the local community with a provision for children with additional support needs, an Early Years facility as well as a campus library and grassed sport pitches.